After spending a week in all these tiny charming cities in Turkey, Sam and I prepped ourselves to head to Istanbul for a couple days. It's HUGE. Istanbul is Turkey's largest city, with a population of ~16 million (crazy if you think about it, since NYC is about 9 million). 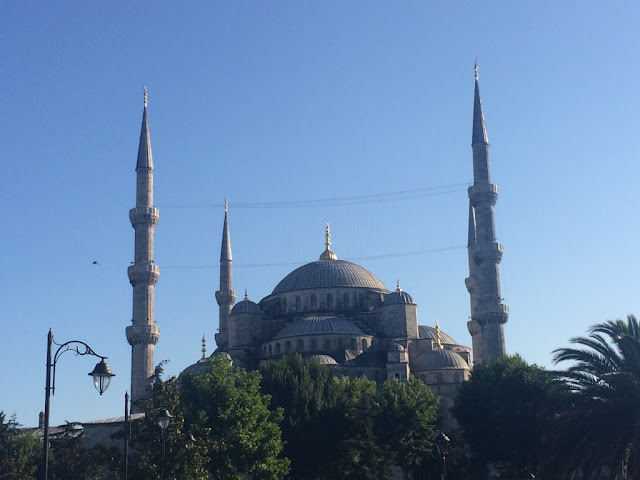 It's like NYC, but with very distinctly Turkey qualities: there are mosques literally everywhere, and it's a bustling, crazy mix of West and East. 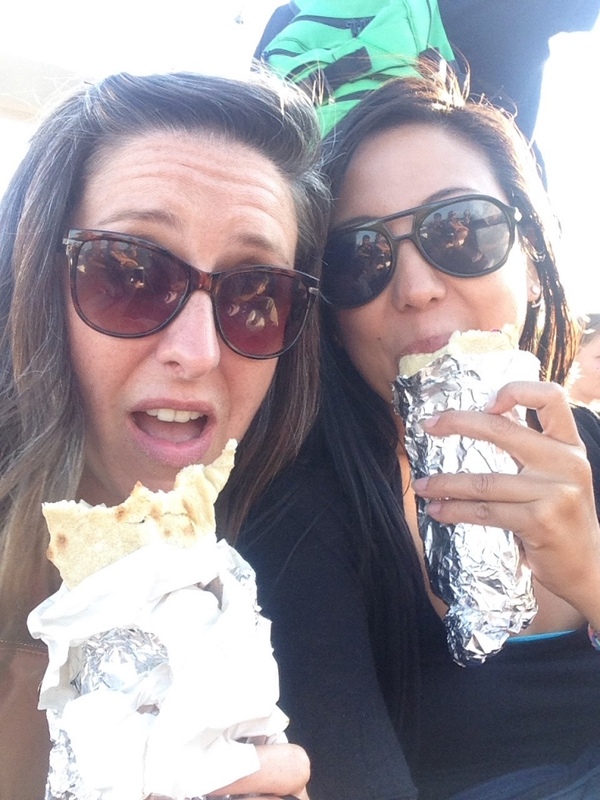 You'll just as easily find women covered head to toe in burqas, as you will find women wearing completely Western fashion and name brand clothing. People are everywhere. And there are a million neighborhoods, each with their own flair and trendiness and such. Istanbul is divided by the Bosphorus Strait, which separates the Europe side of Turkey from the Asian side of Turkey. 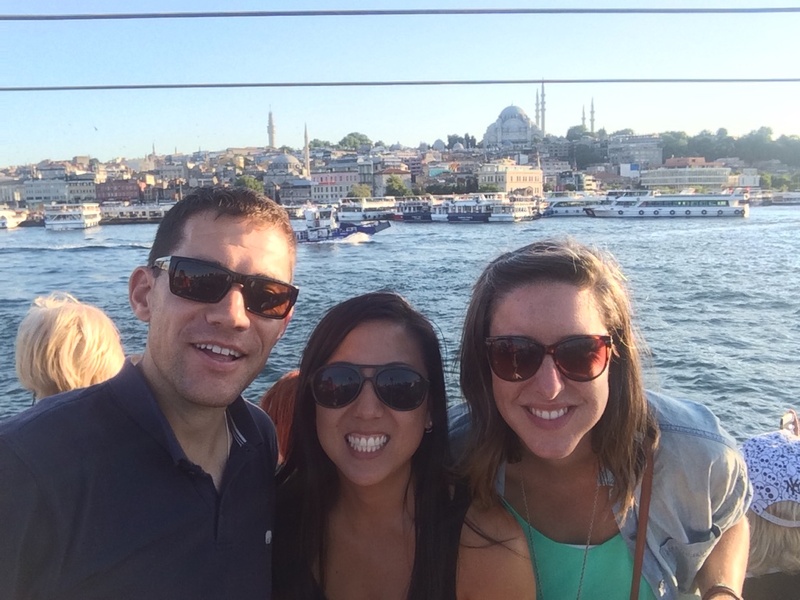 It's beautiful because so much of Istanbul has a waterfront, as a result. 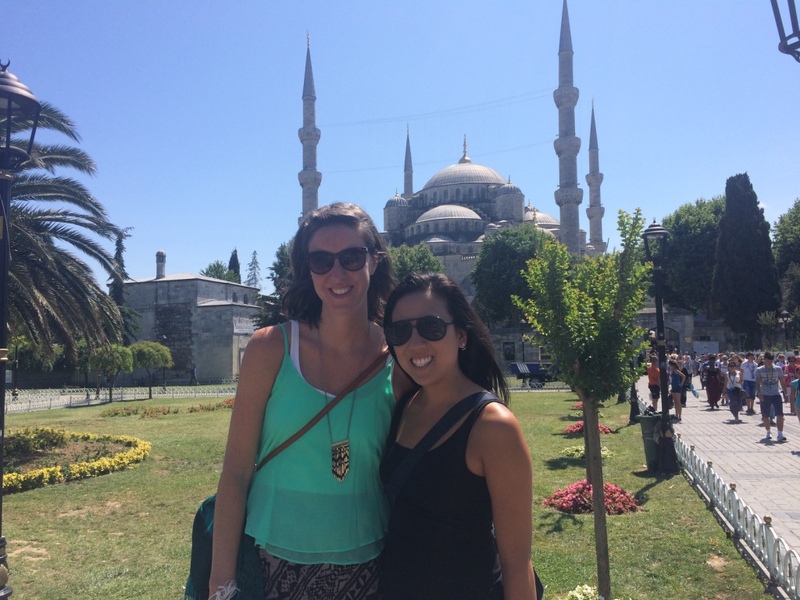 Sam and I were welcomed to Istanbul with the longest/most nauseating shuttle ride from the airport, then checked into our hotel and hit the ground running (#doallthethings). 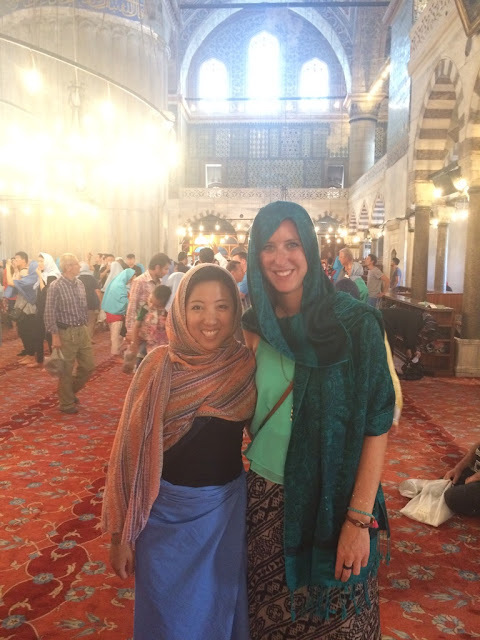 We first headed to the Blue Mosque, one of the most famous mosques in the city. It was built in the 1600s and is well-known for its grand size and design (and fun fact, it has 6 minarets instead of the usual 4). It's still a functioning mosque today, therefore you have to cover up to enter (fun fact #2, they will provide you with headscarfs and skirts if you don't have your own, and the ones they provide kind of look like doctor's scrubs. Everyone looked like they were some kind of doctor/Muslim/tourist combo). Then we met up with my friend Drew, who arrived in Istanbul from the States and is joining me for the Middle East leg of my trip. I met Drew earlier this year on a trip to Colombia with my mom. 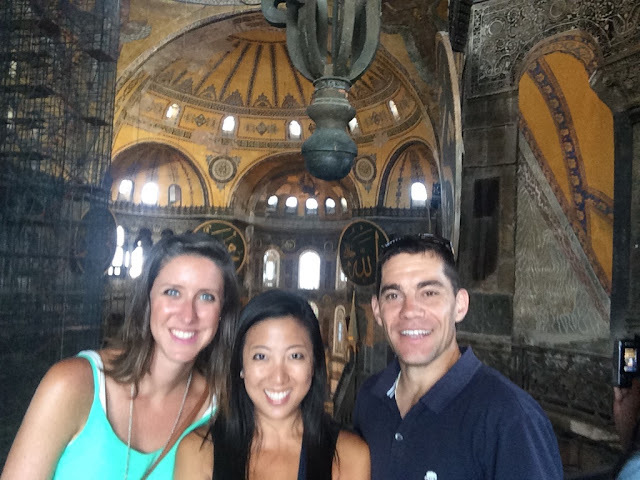 The three of us went to the Hagia Sophia, a church-turned-mosque-turned-museum. The original church was built in the 537 A.D. (!) 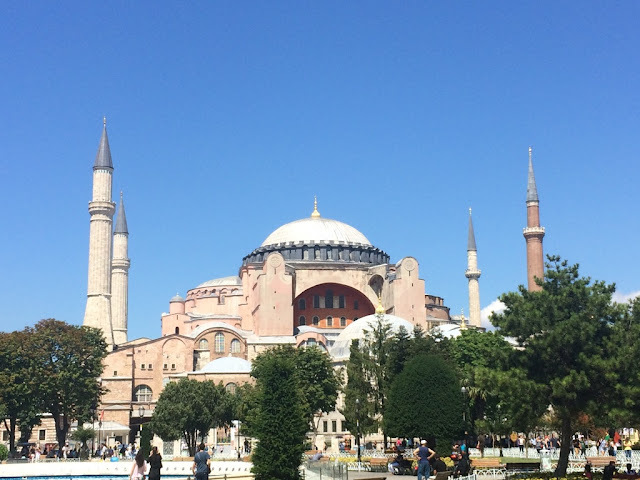 by Emperor Justinian, then it was converted to a mosque in 1453 when the Ottomans took over, then turned into a museum in 1935. 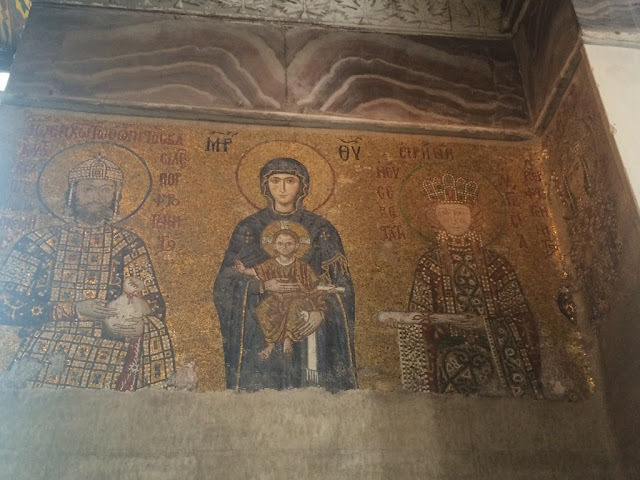 It was incredibly cool because the building today has hybrid Islamic/Christian parts - for example, there was originally gorgeous mosaic tilework depicting Christ, the Virgin Mary, etc. 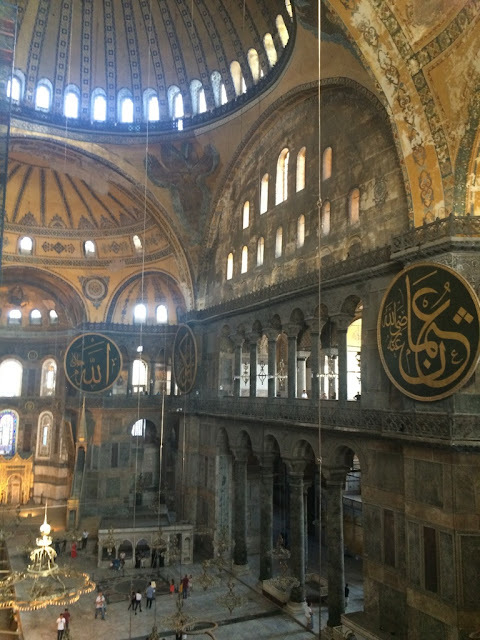 - which was covered over in plaster when the building was turned into a mosque. But after it became a museum, they uncovered a lot of the mosaic. So today, you'll see this pretty gold mosaic of Jesus, and right next it will be an Islamic pulpit or prayer mihrab or Arabic lettering that was added on later when it was converted to a mosque. It's kind of a beautiful contrast. 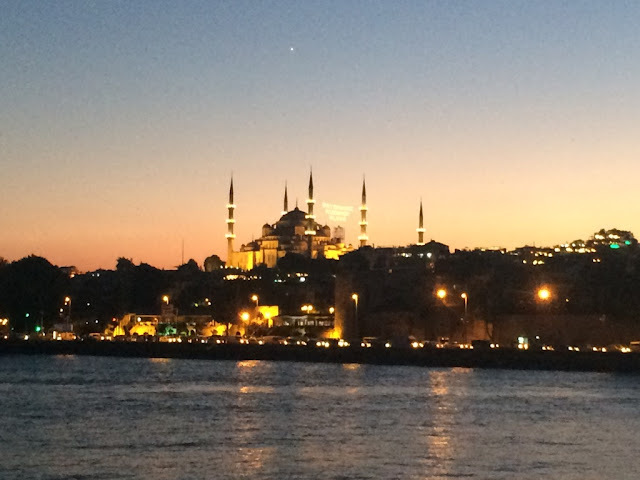 Then we upped the romance factor with a 2-hour sunset cruise on the Bosphorus Strait. It's so cool getting to see all of Istanbul's millions of neighborhoods. It was kind of like NYC's Circle Line Cruise, but Turkish. You also got to see how many grand, beautiful mosques there are in the city, as well as some incredibly baller waterfront homes. 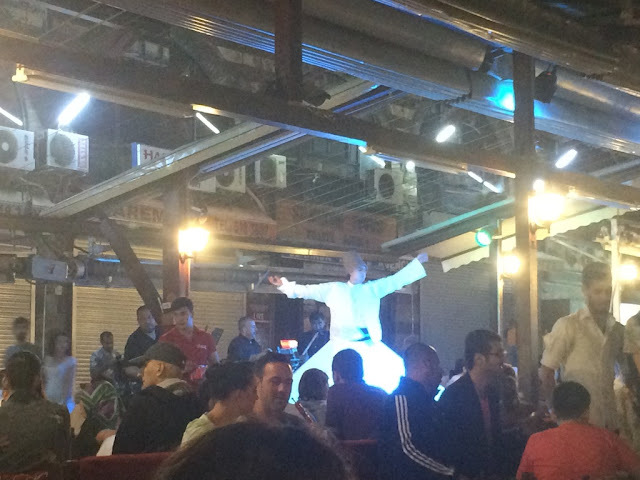 Istanbul feels very different from the rest of Turkey. There are a lot more people hassling you to take their tour, or sit in their restaurant, or buy a rug (are rugs especially popular to buy here?? How on earth do you get those things home?!). I guess that's pretty typical for such a large city swarming with so many tourists, but the rise in aggressiveness factor took some getting used to. It's obviously still an AMAZING city - so much hubub! Did I use the word hubub correctly....? Is that a word? The Bosphorus Strait is a gorgeous blue color but apparently it's full of jellyfish and garbage. My Lonely Planet said so. But improving!